New Delhi : The flag carrier airline of India and the third largest airline in India in terms of passengers carried, Air India today announced two new promotional schemes to attract more passengers during the ongoing holiday season. The airline announced two promotional schemes, named 'New Year Special' and 'Lucky First'. According to the airline, the "New Year Special" scheme offer passengers with an all-inclusive one-way fare for just Rs 5,016 for travel between metros. The airline elaborated that the offer is valid on flights departing between 8pm of December 31, 2015 and 8am of January 1, 2016. 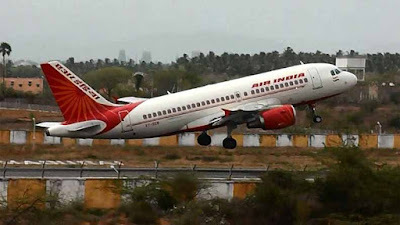 Under the other promotional scheme "Lucky First" passengers travelling in economy or business class on Air India B777 flights on Delhi-Mumbai-Delhi sector will stand a chance to win an upgrade to first class on the same flight. "A Lucky draw will be held at the boarding gate before the take off," the airline was quoted in a statement as saying. The scheme will be valid for travel between January 1 and 15th January of 2016.